Looking unsurprisingly like it’s bigger siblings, here’s some shots of the 50cc Scomadi Turismo Leggera I first mentioned a couple of posts ago. More info to follow when I get it! First impressions? Nice lines. Some delicate smoothing to the classic GP panels. The indicators are subtly incorporated, although my first though was they look like they’re upside down. My biggest problem with the bike is how it sits a little high… which will be a function of the 12″ wheels. It just looks like it needs to take a breath, and relax down onto it’s wheels an inch or two. But I’m being picky. 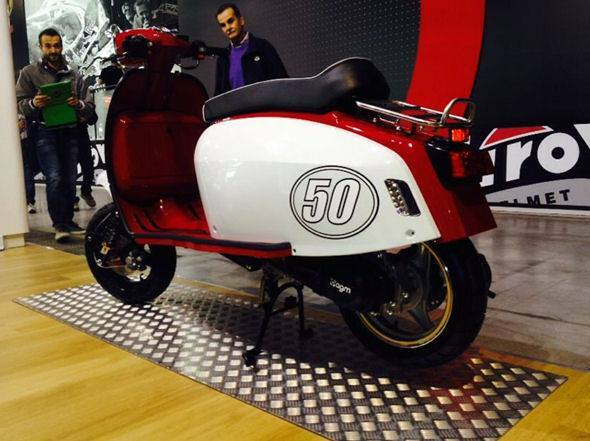 overall, this looks like a very classy, refined scooter. And miles ahead of any other 50cc bike on the market. Nice work. 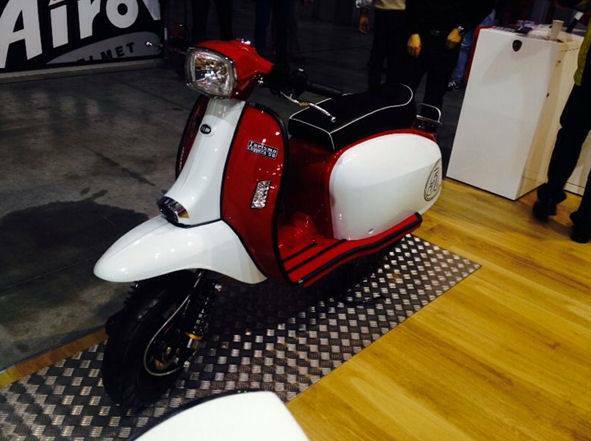 EDIT: here are a couple more shots, taken from the Scomadi Facebook page. The big question everybody wants to know is “How Much?” I’ll let you know when I do! 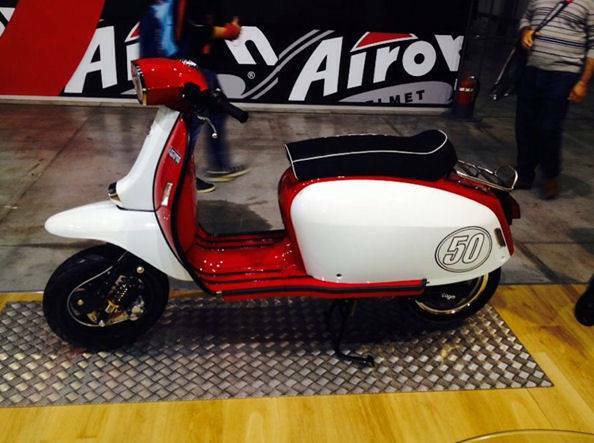 This entry was posted in Not a Lambretta, Scooters and tagged GP, Lambretta Innovations, PM Tuning, Scomadi, Scooter Innovations, TL50, Turismo Leggera by crocodilejock. Bookmark the permalink.